What is animism all about? What exactly does a pagan believe? Animism derives from anima, the Latin word for soul. Orang Asli believe that the world was created when Universal Spirit – the One Primordial Soul (Tuhan) – split into many souls. These lesser souls or spirits began to explore different dimensional possibilities, each identifying a unique form to inhabit and, in the process, devolving from the subtle (halus) to the dense (kasar). Human beings (manusia) operate midway between these extremes – acting as conscious or unconscious intermediaries between the Seen and Unseen Realms, between the material and spiritual domains. The animist views the landscape as the manifestation of Universal Spirit. 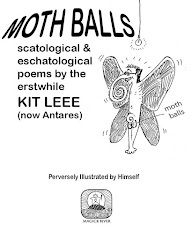 However, certain forms – whether mineral, vegetable, tree, animal, bird, fish, river, or rock – are more aware of their spiritual pedigree and are thus considered sacred (keramat). Whilst others, turning their figurative backs on their divine source, constitute the malefic and ruffianly ranks of predatory ghosts, imps, and vampires (hantu, jin, langsuir). Because the animist perspective is essentially multidimensional and holistic, time is experienced more as a spiral than as a linear progression. Unlike the modern outlook, there is no assumption that the new is inherently superior to the old, that the future is somehow more valuable than the past. 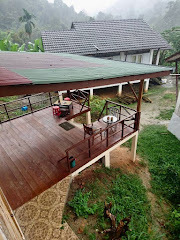 To be called “primitive” is therefore quite meaningless to the Orang Asli, even though the obtuse offensiveness of such a label may be acutely felt – especially when they live in close proximity to other communities that have wholeheartedly embraced consumerism and all its attendant foibles. 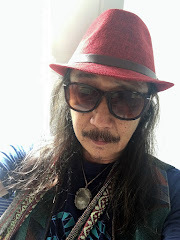 Indeed, many Orang Asli elders are inclined towards the opinion that modern man has fallen from grace; that we now find ourselves collectively living in a paradise lost. Our remote ancestors, they say, lived in a far richer reality, with access to a much wider range of the electromagnetic spectrum. There are legends that speak of the spiral stairway between heaven and earth being shut down by the gods to stop humans from infecting other worlds with pestilential greed and ruthless ambition. As with many other cosmologies – for instance the Mayan and the Hindu – the indigenous cultures view our much-vaunted Age of Reason and Scientific Materialism as a long, spooky trip through the Galactic Night (Kali yuga or the Nine Hells) before our re-emergence into a New Evolutionary Dawn wherein humanity shall once again live in cooperative harmony with Nature. 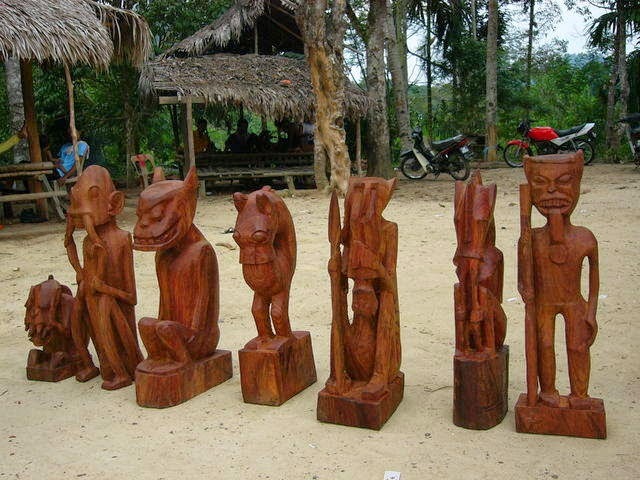 Orang Asli society, while mostly egalitarian, recognizes hierarchical status according to an individual’s mastery of knowledge (ilmu) – be it esoteric or exoteric. Traditionally the tribal chief (batin) was also a shaman who guided the community’s inner life; but in recent days the choice of a batin largely depends on the candidate’s ability to read and write and effectively function as an intermediary between community and state. In animist cultures the shaman (bomoh, dukun, pawang) is a master of many arts, and all art derives from magical ritual. Ceremonial songs, weavings, dances, carvings and masks were originally a means to link up with the spirit realms – not ornaments for barter or sale in the market. But aesthetic or magical values are not necessarily destroyed by commercial considerations. Almost all art today is influenced to a degree by economic factors. The test of good art is that it transcends the monetary value attached to it. That it retains the innocence and spontaneity of a creative act inspired by the unschooled imagination. Good art stimulates not only the external senses but also the remembrance of other lives and other worlds. Good art reconnects us with our indigenous roots, our primeval selves. It feeds our yearning for the mysterious and the numinous. ASLI brings to you a rich collection of wood carvings produced by members of the Jah Hut and Mah Meri tribes in response to the active encouragement of Anthony Ratos, former art teacher and deputy director of the Orang Asli Affairs, and a well-known promoter of their cultural traditions. For Anthony Ratos, an initial encounter with Orang Asli at the tender age of 12 led to a lifelong love affair with these simple, fascinating, jungle folk. Indeed, the term “Orang Asli” was first used in 1952 by Ratos, in a thesis he wrote while at Kirkby Teachers’ College in Liverpool. As a teacher in Maxwell Secondary School, Kuala Lumpur, Mr Ratos coordinated a two-year field study of Orang Asli culture by the senior students, which yielded a book and an exhibition. 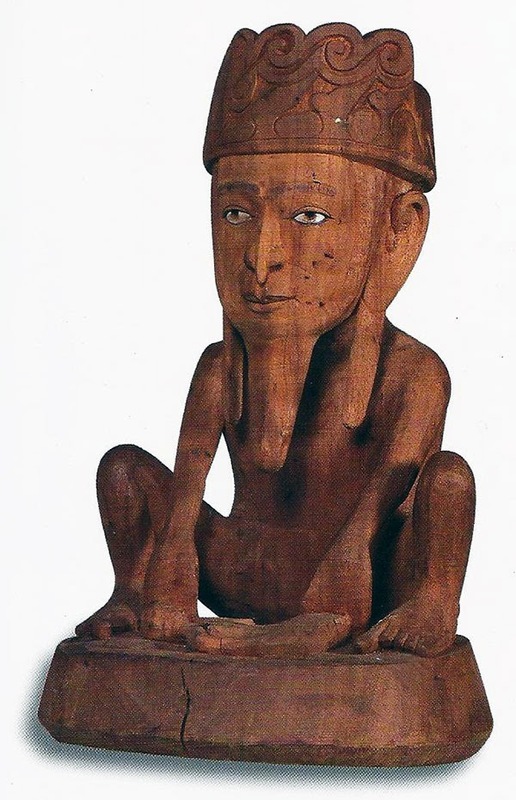 In 1958, while seconded to the Pahang Orang Asli Affairs Department, Anthony Ratos saw Batin Hitam, headman of the Jah Hut tribe, carving a wooden doll from pulai wood to replace his 5-year-old daughter’s broken plastic plaything. Batin Hitam was using a crude rattan-cutting knife with such obvious skill that Mr Ratos decided to provide him with proper carving tools and a commission to depict the tribal pantheon in wood. 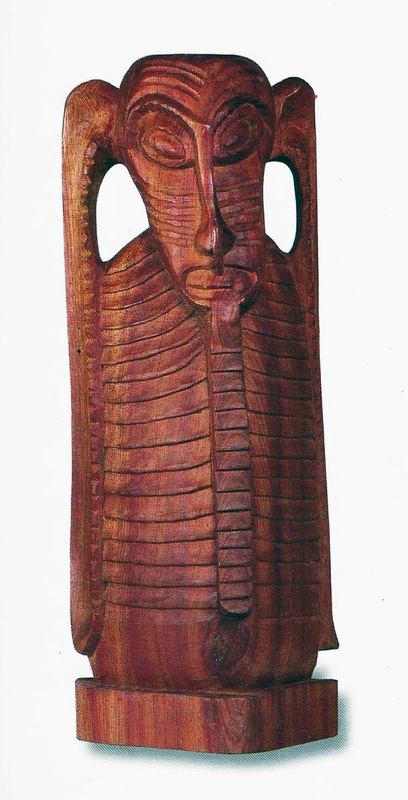 This, according to Anthony Ratos, was the genesis of the Jah Hut wood carving tradition. In the course of his visits to the Mah Meri settlement on Carey Island, Mr Ratos persuaded a few villagers to try their hand at wood sculpture. The results were astounding. 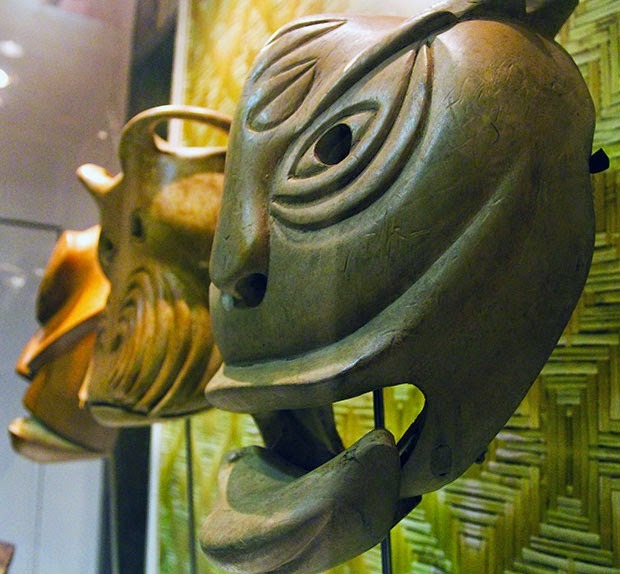 Within a year enough carvings had been produced by the Jah Hut and Mah Meri to merit an exhibition of 82 pieces at the National Art Gallery in Kuala Lumpur. This was followed by a second exhibition two years later. Since then Jah Hut and Mah Meri wood carvings have been exhibited in Germany, Australia, and India. Mr Ratos himself is an avid collector of these spirit-charged wood sculptures and masks, and over the decades he has acquired nearly 600 exquisite examples of Orang Asli artistry. 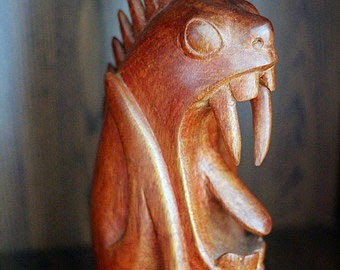 The Anthony Ratos collection of Jah Hut and Mah Meri wood carvings is truly a national heritage of immeasurable worth. As we enter a new millennium, it is fitting that this unique artistic, cultural, and anthropological treasure be shared with the widest possible audience. The son of a silent movie musician from Bombay who migrated to Kuala Lumpur, Anthony Ratos was born in Bukit Nanas on November 2nd, 1932. During the war years (1942-1945) young Ratos enjoyed fishing in the Gombak River to supplement the family’s meager diet. This was where he first met the Orang Asli, who gladly shared with him their fishing and foraging secrets. In 1952, as a trainee teacher at Kirkby College, U.K., Anthony Ratos chose to write his thesis on the aboriginal peoples of Malaya. He described them as “Orang Asli” (original people). This was subsequently adopted as the generic term for all indigenous tribes in Peninsular Malaysia. His interest in and personal involvement with the Orang Asli did not end there. As an art teacher at Maxwell Secondary School, Kuala Lumpur, Ratos coordinated a two-year student project which yielded a book and a special exhibition on Orang Asli culture. From 1958 to 1963 Ratos served as deputy commissioner of Orang Asli Affairs in Pahang, where he discovered the latent wood carving skills of a few members of the Jah Hut tribe. Before long Ratos was encouraging members of the Mah Meri tribe on Carey Island to experiment with wood carving tools. The results were astonishing. 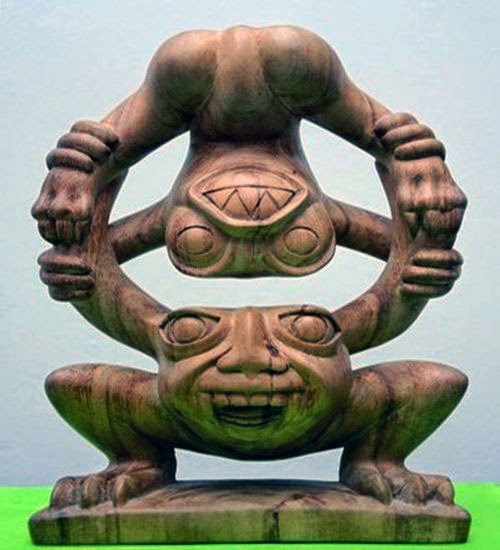 And little wonder, as both tribes are said to originate from the Celebes Islands where totem-carving is an ancient tradition. 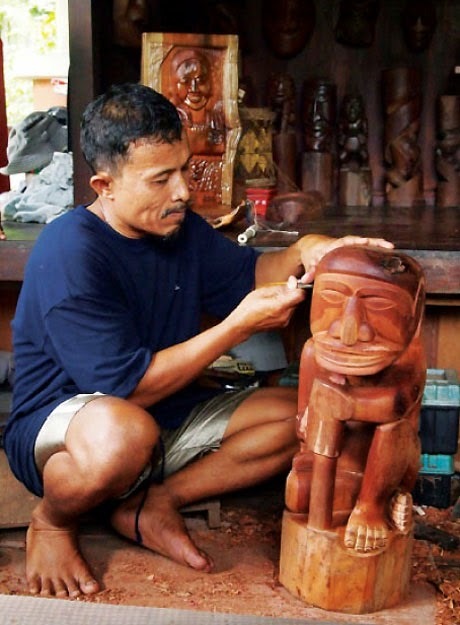 The Mah Meri wood carving and ritual styles are, in fact, very similar to that of the Balinese. Anthony Ratos kept buying finished wood sculptures from the Jah Hut. He offered his early collection for an exhibition at the National Art Gallery in 1960, followed by another two years later which showcased a few Mah Meri sculptures and masks. 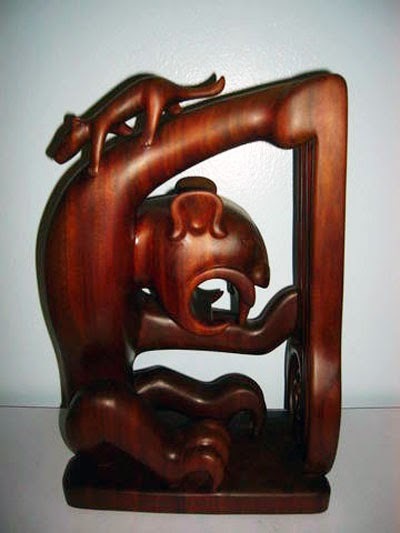 This is how the modern tradition of wood carving began among the Jah Hut and Mah Meri tribes. 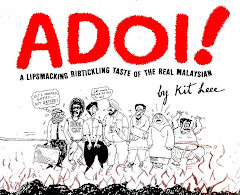 Meanwhile, Ratos had become a successful entrepreneur, pioneering the latex glove industry in Malaysia and helping to establish a thriving medical franchise. A man of wide and varied interests, Anthony Ratos also collects peafowl and artifacts from little-known cultures. 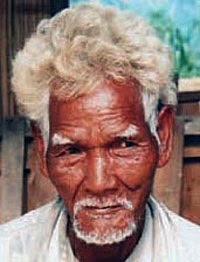 Over the decades he has written numerous newspaper articles and books on his lifelong love affair with the Orang Asli. Indeed, many of his weekends are still spent visiting Orang Asli friends in remote areas in his Frontera 4X4. 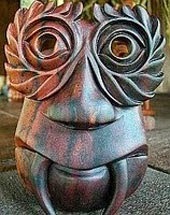 Today the Anthony Ratos collection of Jah Hut and Mah Meri sculptures and masks is worth literally millions. But its true worth as an artistic, cultural and anthropological legacy is immeasurable. Mr Ratos has indicated his desire to hand the entire collection to any institution that can guarantee future generations the opportunity to be acquainted with these superb examples of Orang Asli artistry and provide a decent, permanent home for them. NOTE: One would think the National Art Gallery would be delighted to inherit the Anthony Ratos collection. The reality on the ground is disturbing indeed. Our cultural bureaucrats are extremely timid when it comes to embracing Orang Asli culture, mainly because it is rooted in what they consider paganism (which isn’t part of “Malay culture” in their books). The next best solution, one would think, would be the new Orang Asli Museum (reportedly constructed at a staggering cost of RM33 million and officially opened in June 2000) located miles from the city center in Gombak, on the outskirts of Kuala Lumpur. On closer look, however, it soon becomes evident that the ones entrusted with the responsibility of documenting and preserving Orang Asli culture are, in fact, embarrassed by and often antagonistic to it. Which may explain why the museum is almost inaccessible to the casual visitor, located as it is in an area where public transport is scarce. In private conversation, Anthony Ratos expressed to me that he did not trust the Orang Asli Affairs Department (renamed Jabatan Kemajuan Orang Asli or JAKOA in 2010) because it is now run by bureaucrats with absolutely no interest in or passion for all things Orang Asli. Indeed, the fact the agency was renamed the Orang Asli Development Department suggests that the Malaysian government would like the Orang Asli to assimilate into mainstream Malay culture, thus strengthening the Malays’ claim to indigenousness. Colin Nicholas, director of the Center for Orang Asli Concerns, once remarked to me that JAKOA shows scant interest in educating the Orang Asli about their own traditions. The fact that a librarian assigned to the Orang Asli museum (ironically renamed Museum JAKOA in 2013) was a school dropout who never studied beyond Primary Six vividly illustrates their cavalier attitude towards Orang Asli affairs.